Indulge in a moment of absolute bliss after a long day with a trip to Simply Nirvana. 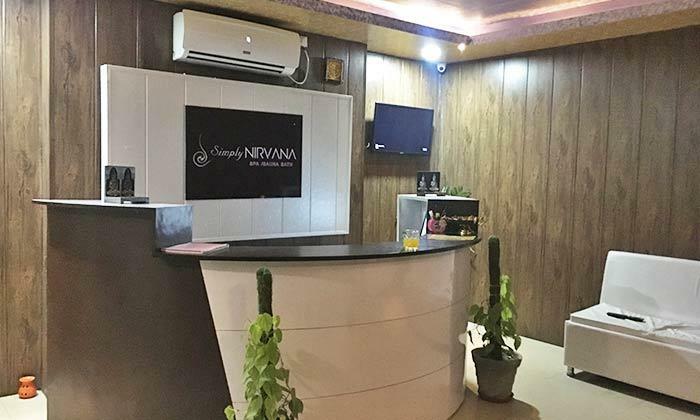 Located in Sector 63, Noida, Simply Nirvana is an upscale wellness center that offers quality services designed to help you relax, rejuvenate and rid your body of its aches and pains. The spa is set up with quality products and equipment features a relaxed ambiance, perfect for a much needed rejuvenation session. The staff is well versed with the best therapies and treatments and work to ensure customers experience rejuvenation with every visit.